Want to get some Holiday shopping out of the way? 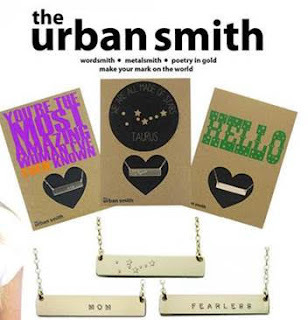 The Urban Smith will be offering 20% off your purchase this Cyber Monday when you use the code BESTMONDAYEVER at checkout. They are known for their personalized gold plated necklaces and stylish accessories. These would make great gifts or stocking stuffers!